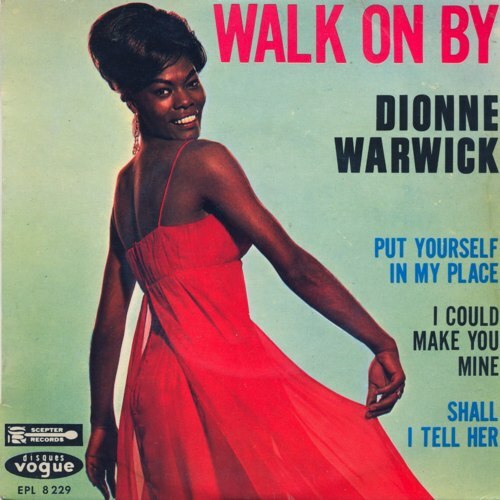 The original version of “Walk On By” was recorded at the same December 1963 session that yielded [Dionne Warwick’s] hit “Anyone Who Had a Heart”. “Walk On By” was the follow-up to that single, released in April 1964 and reaching #6 on the U.S. Billboard Hot 100 and #1 on the Cashbox’s R&B chart. For this song and for others by Bacharach & David, I’ve made exceptions to my rule of placing a song in the year in which it was written, or the year in which it was first recorded if the date written is unknown. For convenience sake, in my Bacharach pages I’ve generally chosen to date Bacharach & David hit songs by the year in which the song first became a hit. Isaac Hayes — A twelve minute interpretation of “Walk On By” became the first track on Hayes’s 1969 album Hot Buttered Soul, released in September 1969. Preceding the LP by a couple of months, a 4:20 edit was issued in July 1969 on the single Enterprise Records ENA-9003 as the B-side of “By the Time I Get to Phoenix.” The single peaked at #30 on the Hot 100. About another minute was lopped off for the following television lip-synch performance. The song was introduced by Dionne Warwick as the B-side of This Empty Place, Scepter single 1247, released March 1963. The track also appeared on her debut LP Presenting Dionne Warwick that year. 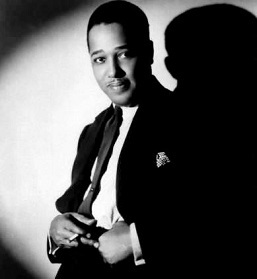 The track was included on Springfield’s solo album debuts in the UK: A Girl Called Dusty, and the US: Stay Awhile/I Only Want to Be with You. A New York disc jockey, Joe Lacey, began to play “Wishin’ and Hopin'” following some encouragement from David and Bacharach, and Philips’ US label issued it as a single in May 1964; “Wishin’ and Hopin'” broke nationally that June entering the Top Ten in July to peak at #6 on the Billboard Hot 100 (#4 in Cashbox). 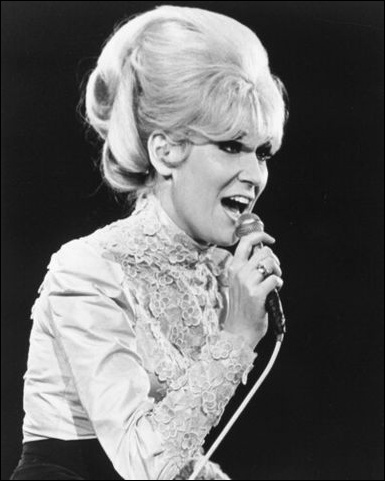 The release of “Wishin’ and Hopin'” as a concurrent UK single release for Springfield was precluded by the presence on the UK charts of Springfield’s single “I Just Don’t Know What to Do with Myself” – one of the songs Bacharach had pitched to her when they met in New York City in February 1964. Brook Benton – produced by Shelby Singleton, arranged and conducted by Alan Lorber, Mercury single 7203, released July 1964. It climbed to #75 after debuting on the charts on 18 July ’64. 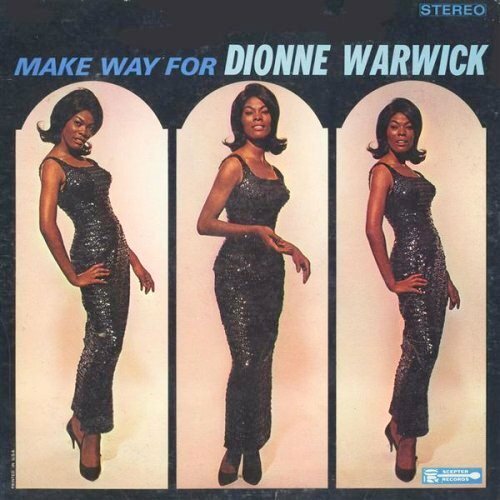 Dionne Warwick’s recording made the charts a couple of weeks later, and performed only slightly better, peaking at #71. Burt Bacharach — An “almost instrumental” recording of the song by Bacharach was released on his 1965 LP Hit Maker! album. The following recording, from his 1967 album Reach Out, features (according to Serene Dominic) the composer’s “first-ever lead vocal”. Luther Vandross recorded the song for his debut album Never Too Much, 1981. The following video contains a live performance at the 1988 NAACP Awards show. First recorded as a demo by Dionne Warwick in 1963, “(There’s) Always Something There to Remind Me” first charted for Lou Johnson whose version reached #49 on the Billboard Hot 100 in the summer of 1964. 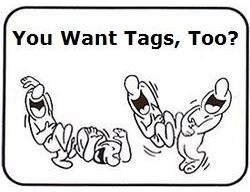 British impresario Eve Taylor heard Johnson’s version while on a US visit scouting for material for her recent discovery Sandie Shaw who resultantly covered the song for the UK market in September 1964 that same month premiering the song with a performance on the Ready Steady Go! pop music TV program. Shaw’s “(There’s) Always Something There to Remind Me” was rush released to reach #1 on the UK charts in three weeks, spending three weeks at #1 in November 1964 and that same month debuting on the Billboard Hot 100; however despite reaching the Top Ten in some markets including Detroit and Miami Shaw’s version of “…Always Something There to Remind Me” failed to best the national showing of the Lou Johnson original as the Hot 100 peak of Shaw’s version was #52. A #1 hit in Canada and South Africa, Shaw’s “…Always Something There to Remind Me” was also a hit in Australia (#16), Ireland (#7) and the Netherlands (#10), the track’s success in the latter territory not precluding hit status for the Dutch rendering by Edwin Rutten entitled “Ik moet altijd weer opnieuw aan je denken” (#12). Shaw herself recorded “…Always Something There to Remind Me” with French lyrics (by Ralph Bernet) as “Toujours Un Coin Qui Me Rappelle” to reach #19 in France; a cover by Eddy Mitchell was more successful reaching #2 in France in April 1965 also hitting #3 in on Belgium’s French language chart. 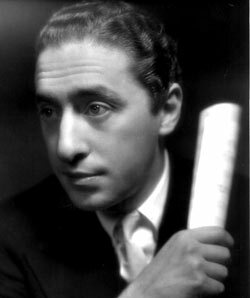 Shaw also made a bid for a German hit rendering “…Always Something There to Remind Me” as “Einmal glücklich sein wie die ander’n”; this was not a success. In the US, Shaw’s single entered the Billboard Hot 100 on 28 November 1964 and stalled before reaching “hit” status (top 40, by convention). However, it went to #1 in the UK, Canada, and South Africa (See details on its success elsewhere in the excerpt from the Wikipedia profile above). Jackie DeShannon — from her 1966 album Are You Ready for This? * (There’s) Always Something There to Remind Me: Sandie Shaw’s recording was a big hit in several countries, but not in the US, where it failed to reach the top forty (#51). It was #1 in the UK, Canada, and South Africa, and also did quite well in Australia (#16), Ireland (#7) and the Netherlands (#10).